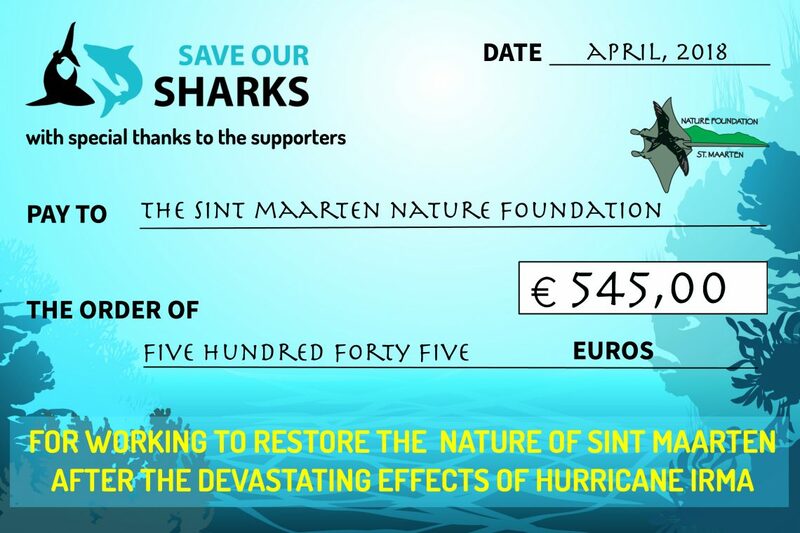 We are very pleased to announce that the Save Our Sharks team was able to present the first donations of 545 Euros to the St. Maarten Nature Foundation to help them continue all the hard work they’ve been doing to restore the damaged nature of the island after hurricane Irma. With special thanks to those supporters that have helped raise funds. Donations can still be made online or at any event we attend this year. Every gift is much appreciated. With her large waves and strong underwater motion and surge, Hurricane Irma did not spare the underwater world. 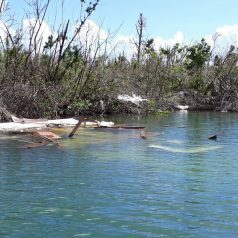 Both terrestrial and marine assessments were carried out after the storms, which found destroyed mangroves, extensive damage to corals, uprooted seagrass beds, a multitude of sunken vessels, and severe water pollution, to name just a few. The majority of Sint Maarten Nature Foundation scientific in-water research projects were either totally damaged or completely lost, including the acoustic receivers installed to track tagged tiger sharks, reef sharks, and nurse sharks. As particularly the St. Maarten Nature Foundation is looking into major funding options to rebuild the marine research set-ups and restart their reef and marine monitoring efforts, the Save Our Sharks project is dedicated to help raise funds. Over the past years, the Nature Foundation has started an extensive shark research program on the island for the Save Our Sharks project and has been working towards much needed protection of both sharks and their habitats. Many of these efforts are now jeopardized because of the storm.